Hey there, programming pals! It’s Andy Gesner from HIP Video Promo, and today I’m thrilled to be able to share a truly dazzling animated video for the latest single from HIP favorites, Of Montreal. Kevin Barnes is no stranger to vibrant cartoons – you’ll remember the dizzying, kinetic clips that accompanied songs from The Sunlandic Twins. But Hissing Fauna, Are You The Destroyer? is a much darker album, and these stories require a more serious treatment than did “Wraith Pinned To The Mist” or “Requiem For O.M.M.2”. Proper animation for a Hissing Fauna track must balance whimsy and worry, the holy and the horrifying, childlike playfulness and all-too-grownup fear. We can say with certainty that the “Gronlandic Edit” video does all of this and more. Barnes’s combo must also satisfy the sugar-pop cravings of a greatly expanded audience. Over the past year, Of Montreal has made the transition from closely-guarded indie favorites to genuine rock stars. Increased popularity and exposure has introduced this strange, edgy, and intensely singular songwriting voice to thousands, and, lo and behold!, those thousands have purchased records and packed concert halls. Hissing Fauna, Are You The Destroyer? hit the Billboard Top 100, and reached the #2 position on the Top Independent Releases chart. 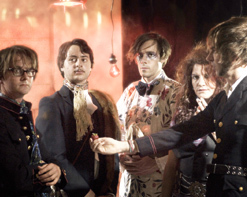 Of Montreal performed on Conan O’Brien, and “Suffer For Fashion”, the last single, snuck its way onto the mainstream airwaves. Barnes and his band have toured the world, and their splashy, theatrical stage show has earned the group headlines from Tokyo to Las Vegas to Scandinavia. The explosion of interest in the group was inevitable: a writer as good as Barnes will eventually connect with a mass audience. It’s ironic, though, that this commercial breakthrough coincides with the release of his most harrowing album. As most of the indie press has reported (in reviews that often call it the Album of the Year), Hissing Fauna, Are You The Destroyer? is an exploration of chemical depression, romantic disillusionment, and long, lonely Norwegian nights. 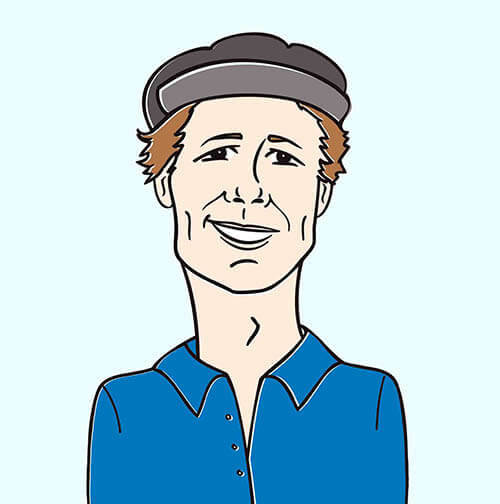 There’s nothing cute about it at all – Barnes sings about his demons in remarkably direct language. On first listen, “Gronlandic Edit” sounds like a piece of irresistibly catchy indie-disco, and that it surely is. But it’s also a tale of agoraphobia and spiritual alienation. “I am satisfied/ hiding in our friend’s apartment”, he sings over an elastic bassline, before asking “am I erasing myself?/ Hope I’m not erasing myself”. Themes of self-negation and destabilization are present in the mind-bending clip for “Gronlandic Edit”. Images shake, shudder, and glow; the hues themselves seem to be restless. It’s an in-motion version of an Of Montreal album cover, illustrated in bold color and busy with provocative figures. Barnes himself is portrayed as, among other things, a sleeping, shirtless penitent (in football pads), a monkey, and a vampire bat. Throughout, he is chased by skull-masks – and the snarling, fanged head of a tiger, approaching and receding from the red circles that haunt the backgrounds of these tormented frames. The intricately-drawn mandalas that decorate the cover of Hissing Fauna, Are You The Destroyer? spin through the “Gronlandic Edit” video, too. This can be perfectly explained by the fact that the video was directed by the same person who designed the album artwork. This person also just happens to be David Barnes, brother of Kevin himself. The clip is crammed with sun-symbols both welcoming and chilling; elsewhere, strange and disquieting Hindu imagery haunts the clip. A man is shown stripping naked, and then to his muscle-structure, and then down to his skeleton. But the bones aren’t interred – on the contrary, extra arms blossom from the shoulders, and the undead creature begins to dance. If there is anything we’ve learned from of Montreal and the folks at Polyvinyl, besides to expect world class indie rock records, it is that their videos are a one of a kind spectacle that is not to be missed! In case you missed out on getting some on-air giveaway copies of Hissing Fauna, Are You The Destroyer?, you’re in luck, because we still have some here. We can also hook you up with the chance to catch up with Mr. Barnes for a video interview when they come to your market, so drop us a line! If you need more info, call Andy Gesner at 732-613-1779 or e-mail us at info@HIPVideoPromo.com . You can also visitwww.PolyvinylRecords.com, or www.ofMontreal.net to find out more about Of Montreal.